Although we generally refer to the holiday as “Pesach” (Passover), this name technically refers to the 14th day of Nissan, the day that the Korban Pesach (Paschal Sacrifice) was brought. The seven-day holiday itself is referred to as Chag ha’Matzos— the Holiday of Matzos, since the entire seven days are characterized by refraining from chometz and eating matzah. Although the requirement to eat matzah applies only during the Seder, one is prohibited from eating chometz during the entire holiday. 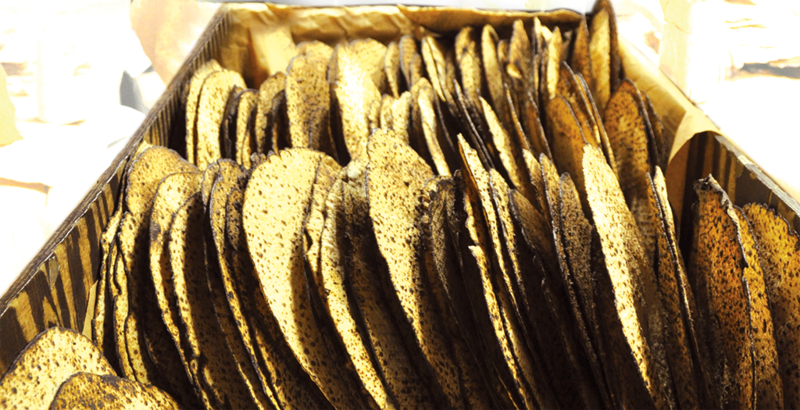 in addition, some authorities rule that although one is not obligated to eat matzah during the rest of Pesach, one actually fulfills the mitzvah of matzah every time it is eaten during Pesach. all matzah, however, is not the same, and it is therefore important to know their distinctions in order to be able to approach the fulfillment of the mitzvos of refraining from chometz and consuming matzah in the most appropriate manner. Both chometz and matzah are made from the same ingredients—flour and water—and it is impossible to understand one without the other. Chazal teach us that when any of the five major grains—wheat, rye, oats, barley and spelt—come in contact with water, they may ferment and become chometz. This fermentation may occur spontaneously upon the grain becoming wet for even a brief period, even without the addition of yeasts or other leavening agents. Matzah is defined as bread made from any of these grains—which are susceptible to becoming chometz— but are mixed with water and baked in such a way that guarantees that it does not ferment. The care required to prevent chimutz is called shimur— “guarding”—a concept based on the verse “u’sh’martem es ha’matzos”— “And you shall guard the matzos.” One must therefore be very careful when making matzah, since the difference between chometz and matzah can be very slight, indeed. There are three opinions discussed in Halacha as to the level of guarding that is required. The most lenient opinion states that this requirement is satisfied as long as care is exercised from the time the flour is mixed with water to ensure that the matzah is baked before it can become chometz (Shmurah mi’Sh’as Lisha). This approach is based on the assumption that flour is generally stored away from water, and chometz concerns only begin at the point of kneading the dough, where water is added to the flour. This opinion, however, should only be followed in cases of extreme necessity, and none of the matzah sold today follows this approach. [Indeed, most wheat today is soaked (tempered) in water before milling, which raises the concern that it may be true chometz]. The second opinion holds that the grain must be guarded from the time it is milled into flour. This approach is based on the assumption that whole grains are not susceptible to becoming chometz even if they were to become wet, since the hard, unbroken kernels are normally resistant to water. Once milled, however, the grains lose this protected status, especially where flour mills were powered by running water and the flour was thus exposed to moisture. Such flour is called Shmurah mi’Sh’as Techina. The grain is inspected before milling to ensure that it has not begun to sprout or exhibit other signs of chimutz, and by doing so we are assured that even if the whole grain had become wet it had nevertheless not become chometz. Most machinemade matzah uses such flour, and such matzah is commonly referred to as matzah p’shutah—“regular matzah”. The third approach requires supervision of the grain from the time of its harvesting until the actual baking of the matzah to ensure that it did not come into any contact with water at any point whatsoever prior to making it into a dough. This approach is concerned that the kernels may have cracked after harvesting and become wet, creating a chometz concern. Indeed, care is taken to harvest the grain before it is fully ripe, since fullyripened grain—even if still on the stalk—could potentially become chometz under the right conditions. There is even a discussion in the Poskim about whether a Jew must actually harvest the grain, and whether one must supervise the transport of the grain to ensure that it does not come in contact with water! Flour that is “guarded” to this extent is known as Shmurah mi’Sh’as K’tzirah, and this is the flour that is used to bake all hand and some machine matzah. Such matzah is referred to as “Shmurah Matzah,” although all other matzah is also, technically, “shmurah” according to many opinions. HOW DOES ONE EFFECT SHIMUR? The requirement of “guarding” the matzah can be interpreted in two ways. Some Rishonim explain the concept of shimur as a requirement to be extra vigilant in preventing chometz. In other words, even where there may technically be no concern of chometz, the Torah nevertheless requires one to be extraordinarily careful to ensure that no chometz is created. Other Rishonim, however, understand the concept of shimur to be one of intention—the Torah requires us to perform the act of making matzah—and preventing chimutz—with the intention of fulfilling the mitzvah of matzah. This concept is known as l’shmah. Since the critical aspects of making matzah are fraught with chometz concerns—mixing flour and water, kneading the dough, rolling it into sheets, and placing it in the oven—it is common to express this concept as “making” the matzah l’shmah. Technically, however, it is the “guarding” of the matzah l’shmah to prevent chimutz during its processing that is the requirement. In the case of Shmurah Matzah flour, even the harvesting is either done or supervised by a Jew l’shmah. The Shulchan Oruch follows the opinion that shimur implies guarding the matzah l’shmah, and that this is only required for matzah that is to be used to fulfill the mitzvah of eating matzah at the Seder. Other Rishonim, however, understand shimur to be a technical requirement in ensuring that the matzah be free of chometz concerns, and rule that it is required for all matzah eaten during the entire Pesach. *Editor’s Note: In Russia, many Jews were especially careful to ensure that the flour used in their matzah was supervised from the harvesting. The Lubavitcher Rebbe’s father, Rabbi Levi Yitzchok Schneerson (zt”l), had great mesiras nefesh to give hashgocha on Shmurah Matzah despite the harsh, anti-religious Russian regime. Until about one hundred and fifty years ago, all matzah was made by hand. This process involved hand mixing small batches of dough with water that had been allowed to cool overnight (mayim shelanu), hand rolling the dough into matzos, and then using a hand-held tool to place the matzos into the oven. Since each of these steps was done by a Jew with the intention of making matzah for use as a mitzvah, all of the matzah was considered as made l’shmah. With the advent of machines capable of mixing dough, rolling it into matzos, and placing it into the oven, several new issues presented themselves. First, it is obvious that a machine cannot make matzah l’shmah. However, does the intentional action of turning the machine on and observing its operation constitute an act sufficient to consider matzah made by machine to be indeed made for the sake of the mitzvah? This question has been the subject of much Halachic discussion. Although many manufacturers of machine matzah attempt to address the requirement of l’shmah by having some direct human involvement in the production of the matzah (such as in the mixing of the dough), many people insist on using hand matzah during the Seder in order to ensure that all aspects of production were indeed done l’shmah. It is worth noting, however, that some specialty machine matzah companies perform all critical steps by hand to ensure that their matzah meets this requirement, and many Poskim feel that such matzah may be indeed be superior to traditional hand matzah in terms of the preventing chometz, since the process can be much quicker and more uniform than that possible by purely human handling. A special type of hand matzah is discussed among the Halachic authorities especially for use at the Seder. As we noted before, the holiday of Passover actually begins on the afternoon of the 14th day of Nissan, when the Korban Pesach was brought in the Beis HaMikdash. According to many authorities, one should ideally bake the matzah to be used at the Seder that very afternoon and, indeed, many Gedolim insist on baking their matzah in this manner. However, such an enterprise requires great care, and the general custom is to bake matzos in advance. Regardless of the type of flour used or whether made by hand or machine, it is critical to ensure that the matzah dough does not become chometz during the baking process itself. Chazal tell us that under normal conditions it takes at least eighteen minutes for dough to become chometz. This time can change dramatically, however, with changes in the surrounding environment. On the one hand, heat will significantly hasten the process, and for this reason the oven in a matzah bakery is segregated from the area where the dough is handled. On the other hand, as long as the dough is being kneaded, it will never become chometz. Since many factors can influence the time in which the dough can become chometz, hand matzah factories attempt to ensure the dough is constantly kneaded until ready to go into the oven, and even machine processes are designed to continuously process the dough as much as possible. Nevertheless, hand matzah factories shut down their production every eighteen minutes, at which time the tables, mixing equipment, rolling pins, and all other equipment is thoroughly cleaned to remove every trace of dough from the previous batch. The workers even wash their hands carefully, and the mashgiach checks everything before production is allowed to resume. 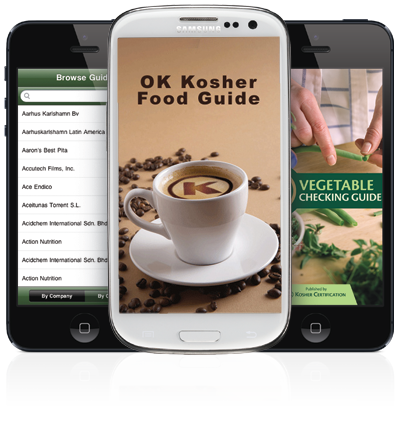 Some machine matzah productions also follow this approach and the equipment is designed to be dismantled and thoroughly cleaned every eighteen minutes. Such machine matzah is called “Eighteen Minute Matzah”, and is made from both shmurah and regular matzah flour. Most machine-made matzah, however, is produced on equipment that is cleaned thoroughly at the beginning of a production cycle, but not every eighteen minutes. They rely on the following considerations. First, as noted previously, Chazal tell us that the time before dough becomes chometz can be extended for a much longer period if it is constantly being worked (e.g. kneaded). These machine- matzah factories therefore design their systems to attempt to keep the dough in a constant state of motion. Furthermore, the equipment is designed to prevent the dough from sticking to the equipment or otherwise remaining in the system for eighteen minutes—much of it is Teflon® coated! Since the speed of the matzah production is such that every mixture of dough passes through the system into the oven well within eighteen minutes, it can be assumed that all of the matzah has indeed been baked within eighteen minutes of the time it was first kneaded. Any minor amounts that might remain on the equipment would be halachically insignificant (botul). Kashrus concerns do not end with the baking of the matzos, however. The process of placing hand matzos in an oven requires great skill, and mistakes do happen in the baking process. After being rolled into the familiar round and thin form with which we are familiar, four or five of the raw matzos are draped over a long pole. This pole is then inserted into a brick oven, and the pole is carefully twisted to allow the matzos to unfurl evenly on the oven floor. Even the best matzah baker cannot get each matzah to lie perfectly flat every time, and some of them are folded in the process. Unfortunately, the area in the fold may not be exposed to the same amount of heat as the rest of the matzah, and this underbaked area can become chometz. Such a matzah is called a k’fulah, and the folded portion—and the area immediate surrounding it—should not be eaten (Rama 461:5 and Mishnah B’rurah s.k. 28). Another defective type of matzah is called a n’fuchah, literally, “bloated”. Matzos are perforated to allow the steam to escape during baking. In situations where they were not properly perforated, some areas in the matzah will bloat and rise, and if the swollen area is the size of a hazelnut the entire matzah should not be used due to a concern that the inside of the matzah may not have baked evenly and had become chometz (see Ibid., and Mishnah B’rurah s.k. 34). Although the mashgiach at the matzah bakery checks the matzos for these imperfections, it is worthwhile to check one’s own matzah in case something was missed. The eating of matzah at the Seder allows us to fulfill a Mitzvah D’oraisa— a Biblical commandment. The Jewish people have historically gone to great lengths in the stringencies and care with which they baked their matzah for this great mitzvah, with many insisting that they personally bake and supervise its production. Many are careful to eat a piece of Shmura Matzah each day of the holiday, since according to some opinions the mitzvah of eating matzah is not limited to the Seder. 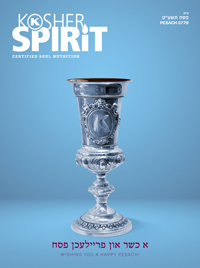 An understanding of the intricacies involved in its production should give us a greater appreciation of this mitzvah and its paramount importance for the holiday itself.